Peel Dream Magazine is the nom de plume of New York City-based musician Joe Stevens. A nod to BBC Radio 1 legend John Peel, arbiter of all things underground, Peel Dream Magazine is highly evocative of a certain strain of independent music. As Stevens explains, “I wanted to create an outlet for subcultural wanderers. Something you can subscribe to.” Stevens harkens back to the early 1990s, when The Velvet Underground resurged as an inspiration to a new set of bands wielding synthesizers, off-set guitars, and a political bent. The Peel Dream experience is defined by a gentle, fuzzy psychedelia —it’s a hypnotic bit of mod-ish lo-fi pop, recalling the best of early Stereolab, Lilys, and other shaggy haired kids with vintage fuzz pedals, slim trousers, and good record collections. Stevens conjures a distinctly 90s vision of the 60s. Not the actual 60s, mind you, but perhaps a 60s daydreamed about from the creature comforts of a suburban living room. An abstraction. Shag carpet turned to bowl cut. Jean jackets — disaffected but wholesome youth. It’s not irony, exactly. It’s the love that comes from loving. And a bit of whimsy. It’s the 90s, again. Post-post. 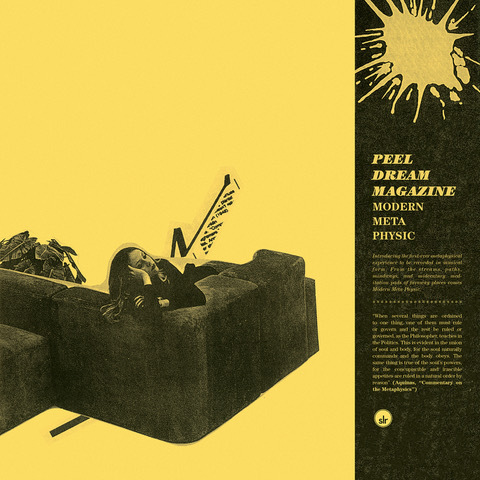 Written and recorded over a four-week period in the fall of 2017, Peel Dream Magazine’s debut album Modern Meta Physic fixates on the New Age universe of the Catskills region of New York. Stevens deals in generic bohemian fare — Far East philosophy, Native American tradition, mid-century modern cool — as he appraises the world according to privileged urban expats who increasingly call the upstate paradise home. 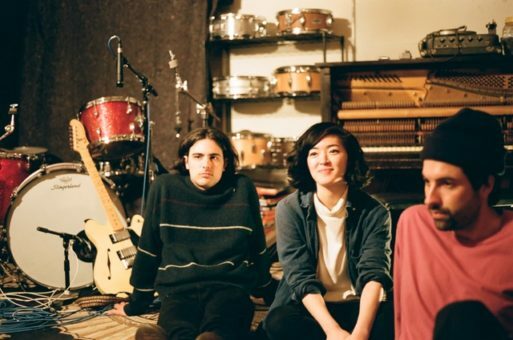 Leading off the album, “Qi Velocity” is a metronomic take on French pop that yields to a lush chorus reminiscent of Belle and Sebastian. “Deetjen’s,” named after the much-loved bed & breakfast in Big Sur, would fit snugly on Unrest’s best Teen Beat material. “Due to Advances in Modern Tourism” displays a soft take on Neu!, while the organ that enters could be a sly wink to Steve Reich’s “Four Organs.” There is an economy to these tracks — everything is distilled down to it’s essential elements, no gestures are wasted, no superfluous ornamentation taking up space. While Stevens is more than happy to show his influences on his sleeve — mind you, they’re great influences — it’s clear Peel Dream Magazine isn’t just a “sound.” The guy can write songs. Where he goes next is anybody’s guess.